Life is too short to spend fiddling with things when there is a product to do it for you. That includes your HVAC system. New technology is making it possible to to monitor and control everything from your thermostat to your air filtering system by pre-setting your desired temperature and letting the technology take care of itself. Consider these options for making your life easier and getting the most out of your HVAC system. When summer heat strikes, high humidity levels can make you feel hot and sticky and pose a risk of mold and mildew in your home. The good news is that by installing humidity-sensing fans, you can relax as they handle the situation on their own. These fans detect a rapid increase in humidity and turn on automatically to exhaust the moisture. Whether the boost in moisture is the result of long showers, steaming veggies in the kitchen or just natural humidity, the humidity-sensing fan has your back. New technology has produced smart ventilation systems that automatically adjust to the needs of your home. It is attached to all fans in the home with one fan designated as the master fan. It automatically monitors fan use and adjusts the system to maintain proper ventilation. It even works independently to control all fans in the home to create optimal ventilation throughout your living space. This system improves indoor air quality and makes your home more comfortable. Although it may sound a little like science fiction, technology now allows you to connect all your systems to monitor and control energy use. These wireless systems monitor room occupancy and automatically adjust to meet your needs. They can lower the settings (or turn them off completely) while no one is home or occupying the room, and restore the settings when you return. These devices allow you to heat or cool your home with more than one fuel source. The system monitors the outside temperature and automatically switches your system to the most economical fuel source for the conditions. This means you save money on energy costs and enjoy the convenience of a dual-fuel source without needing to manually switch sources or determine which is the best choice. These heat pumps use a movement sensor to determine whether the room is occupied and automatically adjust the heat setting. If no movement is detected for 20 minutes the sensor sets the heat back a few degrees. When movement is detected, the temperature is reset to the desired level. Many new systems are designed to give you access to the controls even when you are away from home. Phone apps and computer access make it possible for you to monitor and control everything from the temperature to the humidity level in your home from a distance. With remote access, your home is always at your comfort level when you arrive home. 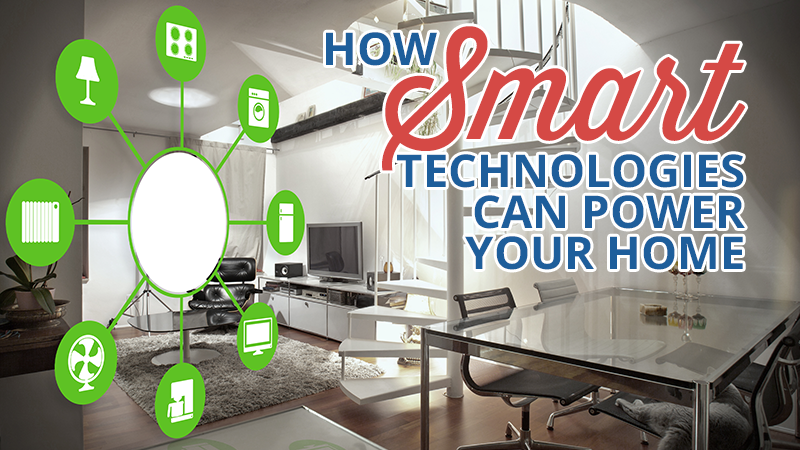 If you are interested in saving energy and improving the comfort of your home, talk to your local HVAC contractor about the many smart technology devices available. We will be glad to assess your home and your needs and recommend the appropriate devices. Contact us today.